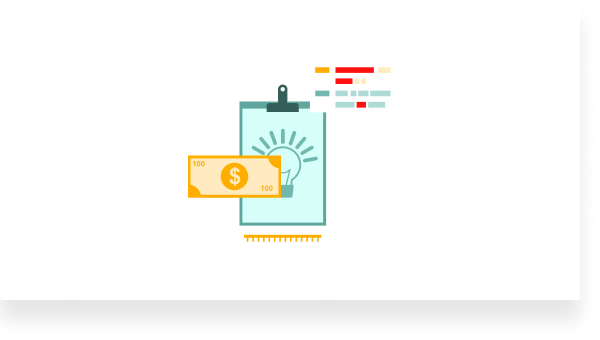 Reach your Marketing Goals with no added spend on Google. 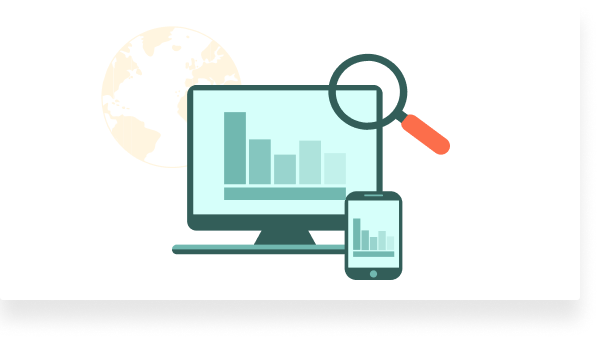 Grade your Google Ads account with our free Google Ads Grader! How Google rates the relevance of your keywords, ads and landing pages. This determines the Cost Per Click (CPC). You can find your keywords’ Quality Score in the status column next to each keyword. 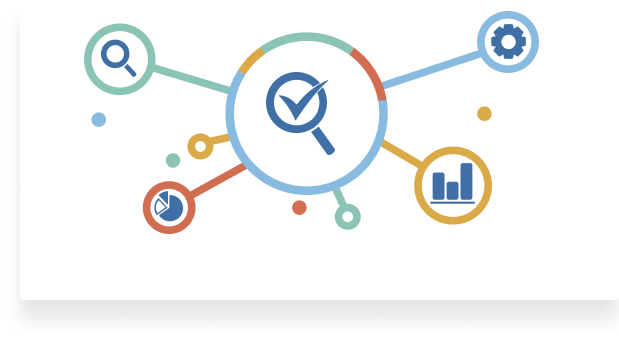 A high Quality Score will help your ads achieve a higher position in the search results and a cheaper cost-per-click among many other benefits. A good Quality Score is typically one that falls between 7 and 10, with 10 being the highest score you can achieve. You can improve your quality score you’ll need to work on the three factors that determine it: click through rate, ad relevance and landing page performance. How we grade your account: We’ll give your accounts Quality Score a grade from 0 to 100 based on the proportion of keywords in your account that have a Quality Score of 7 or higher. This is the amount of total impressions your ad receives compared to the total amount of impressions it was eligible to receive. An impression in Google Ads is every time you ad is shown in the search results (or on the Google Network). 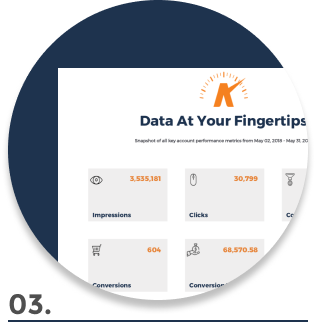 Impression share is calculated by dividing the number of impressions your ad received divided by the total number of impressions it was eligible to receive. You can lose impression share due to: 1. a low budget and 2. a low ad rank. Impression share lost to budget represents the times your ad was not shown (during times it was eligible to show) due to a low budget. Depending on your delivery method, this could mean that your ads stopped running much before the end of the day. Impression share lost to ad rank represents the times that your ad wasn’t shown during times it was eligible to show due to a low ad rank. How we grade your account: The grader will analyze your account to see what percentage of time your ads are being shown out of all the times they were eligible to show. We’ll also give you some helpful tips on how increasing your budget can impact your impression share. The performance of a landing page is determined by the positive user behavior exhibited on the page focused on conversions. You can see how your landing page impacts a keyword’s quality score by hovering over that keyword’s status. Your landing page experience can have one of the following statuses: above average, average, or below average. You can improve your Google Ads landing page experience by improving your page speed, improving your page speed, strengthening your call to action and making sure you choose the pages that are most relevant to your keywords. How we grade your account: In order to grade your landing page performance, the grader will find the proportion of landing pages with conversions less than your account average. Don’t worry if your score is on the lower side, we’ll offer some tips on how you can improve those landing pages! 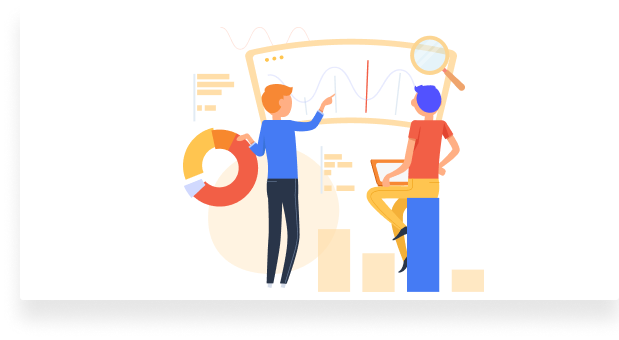 Your account activity is how often you log into your Google Ads account; frequently optimizing your Google Ads account is crucial to your success. We recommend logging into your account at least on a weekly basis. To check the past activity in your account, you can head to your change history; this will show all changes made to your account during your chosen time period. How we grade your account: Our grader will give you a score based on how often you’ve logged into your Google Ads account in the last 30 days. Negative keywords prevent your ad from showing when a user searches certain words or phrases. To find negative keywords for your account you can use your Search Terms Report and the Keyword Planner. 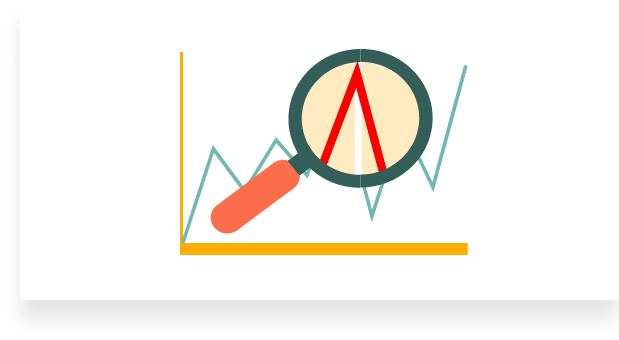 Your search terms report will show you any searches that are using up your budget and not leading to conversions. You can use the keyword planner to find other related searches you’d like to add as negative keywords. You can add negative keywords to your account from the left-hand keywords tab in your account. You’ll be able to add in negative keywords from the negative keywords tab at the top of the page. How we grade your account: Our Google Ads Grader will check if any of your negative keywords conflict with other keywords added to the account. In your report, you’ll see the number of conflicting negative keywords it finds in your account. Google Ads is the amount of your budget that does not result in a positive return on investment. How we grade your account: To calculate your score in wasted spend the grader will see what percentage of your account’s spend is bringing in revenue. 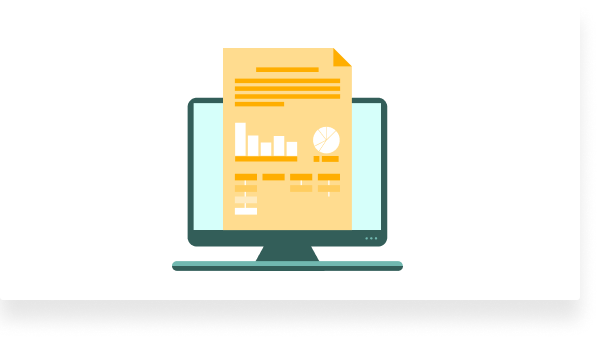 Our report will show you the percentage of your budget not bringing in revenue and the amount wasted in the last week. 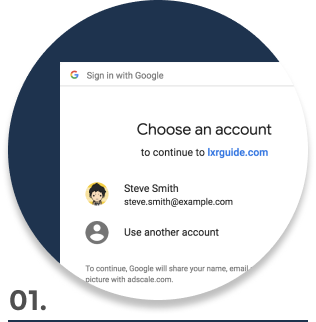 LXRGuide’s Google Ads Grader will only log in to your Google Ads account with your permission and will only use your credentials to analyze your Google Ads account performance. LXRGuide will never share your Google Ads data for any reason. 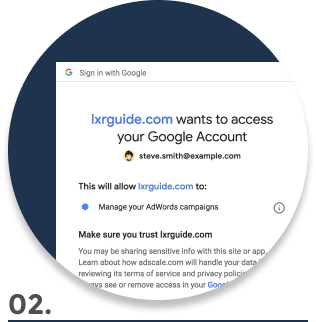 LXRGuide’s Google Ads Grader will only log into your Google Ads account with your permission and will only use your credentials to only analyze your Google Ads account performance. LXRGuide will never share your Google Ads data for any reason. © NetElixir Inc, All Rights Reserved.